Justin Edinburgh’s Leyton Orient revolution continued as the east Londoners beat local rivals Dagenham & Redbridge by 2 goals to 0 at Brisbane Road to maintain their excellent recent form. Goals from Coulson and Bonne were enough for Leyton Orient to beat a Dagenham team looking for a top 3 place themselves if they had won. 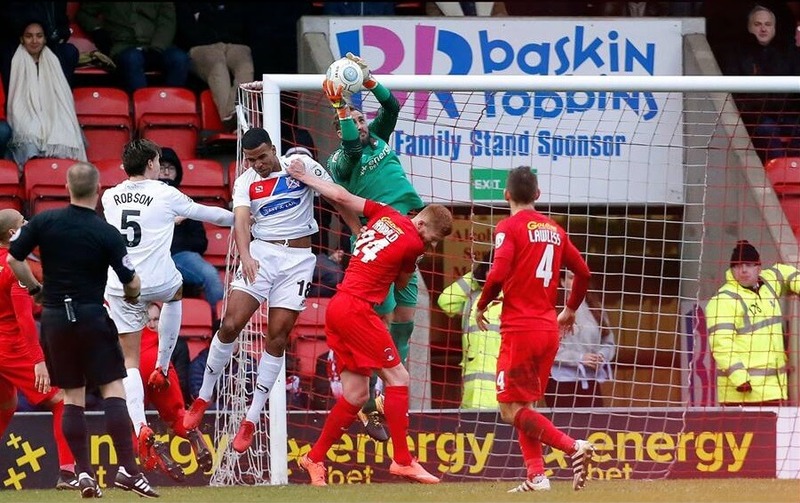 Instead Orient showed plenty of resolve and this was a scalp worth taking as the O’s shone in the turgid conditions to earn Orient a fourth successive win in all competitions, having previously gone 15 league games without a victory. Well what an upside down season the O’s are having and Edinburgh’s appointment last month really couldn’t have come at a better time for the O’s fans and this win was a major shot in the arm for their National League survival hopes. They saw teams around them hit the canvas on Boxing Day to climb two places to 18th but more importantly leave a nine point gap between themselves and Guiseley and Chester City the healthiest of the four teams in the relegation zone both on 21 points. The O’s have hit the 30 points mark and leapfrogged both Barrow and Fylde into the bargain. 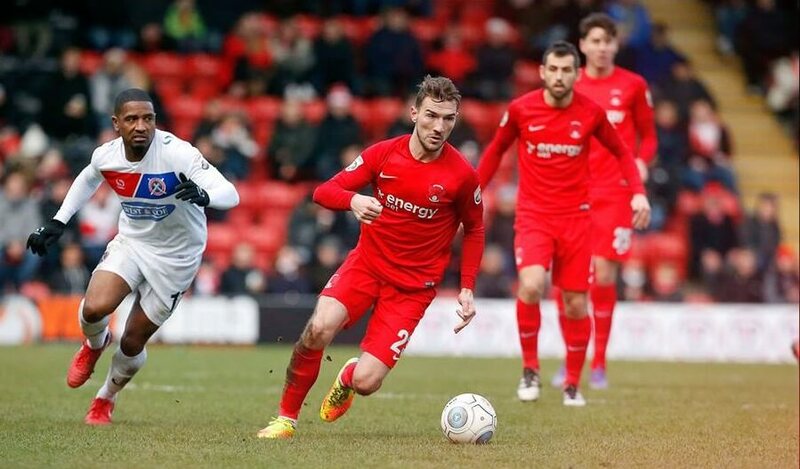 Leyton Orient continued their resurgence with this success over an in form Dagenham with two second half goals as James Dayton played another Man of the Match performance. In many peoples eyes Dayton has been the outstanding O’s player for the year 2017. A whopping crowd of 5,125 crammed into Brisbane Road to see a high flying Dagenham come over to play in the local derby with the just getting off the ground home team and they were treated to a solid, sturdy win. Yet Dagenham had their chances and bossed the first half but a superb second half performance from Leyton Orient saw them home and dry with two goals in ten minutes. For John Still’s Dagenham & Redbridge team, it was a third straight defeat and damages their hopes of an automatic promotion place. This was the third game between the two clubs this season with Orient edging their local rivals in the fourth qualifying round of the FA Cup in October. The first meeting at Victoria Road ended in a nil nil draw, but O’s triumphed 1-0 in the replay and it turned out to be Steve Davis’ last victory as head coach of the E10 outfit as they then went eons without a win. Dagenham almost scored in the 25th minute as Dan Sparks got in down the left side and looked to pick out Whitely or Ferrier, but Coulson made a timely intervention and the chance was thwarted. In fact although Dagenham took the upper hand the game was a bit dull in the first half. Orient had a chance as Alex Lawless had an attempt bu saw a shot deflected out to James Dayton and the nippy winger cut inside and let fly towards goal, but it went wide and the teams went in to the half time break all square. Orient came out for the second half all guns blazing and Edinburgh saw his team get some fortune in the 48th minute when Cousins sliced a clearance and Dayton let it roll out for a corner. Dagenham defended the set-piece well, but could only clear out to Lawless and he brilliantly picked out Dayton near the right touchline and he cut inside and chipped into the area where Coulson powered past Cousins to open the scoring in the 49th minute. Orient were taking charge now and Dayton was again involved in the second goal. He threaded a fine through ball in behind the visitors defence and Bonne saw his first effort saved by Cousins in the Daggers goal but Bonne was able to latch onto the loose ball though and fired into the net to make it 2-0 with 59 minutes on the clock. Dagenham had their chances from Michel Cheek who drilled wide from 12 yards and then volleyed wide when given more than a half chance. Dayton nearly added a third for the O’s after 83 minutes but his shot went wide but it mattered not as the whistle blew and O’s fans celebrated a great Christmas thus far.